Aspirants who prepare for competitive exams like UPSC Civil Services Exam in mediums other than English had often struggled due to lack of quality books on many subjects. But this challenge is now rightly addressed by Oxford University Press (OUP) through their new titles and translations in Indian languages like Hindi and Bengali. 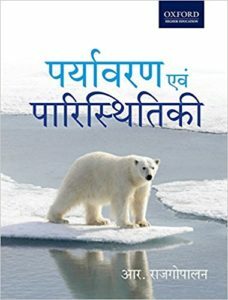 Paryavaran Evam Paristhitiki is the Hindi version of the best-selling book ‘Environmental Studies: From Crisis to Cure’ written by R. Rajagopalan and published by Oxford University Press. Aspirants can now buy the Hindi edition of the book as well as the English edition of the book online from Amazon. Oxford University Press (OUP) is the largest university press in the world and has published a lot of best-selling books. Many of the books published by OUP like India’s ancient past by R. S Sharma, Certificate Physical and Human Geography by Goh Cheng Leong and Oxford Atlas are all-time favourites of UPSC aspirants. The book covers the ecology/environment topics of the preliminary and main examinations. R. Rajagopalan has dealt with many hot topics and environmental issues like runaway growth, imperilled ecosystems, disappearing forests, endangered species, dwindling natural resources, dangerous toxic wastes, green laws etc. More than 80 real-life case studies are illustrated, and this is a real-value addition for those who prepare for UPSC CSE Mains. Not only problems are highlighted but solutions are also discussed. Also, successes and failures of different approaches are covered. There are 8 units and 20 chapters. There is a special chapter on Disaster Management. In the end, a glossary of important terms related to Environment and Ecology is given. This would be useful for a last-minute revision. 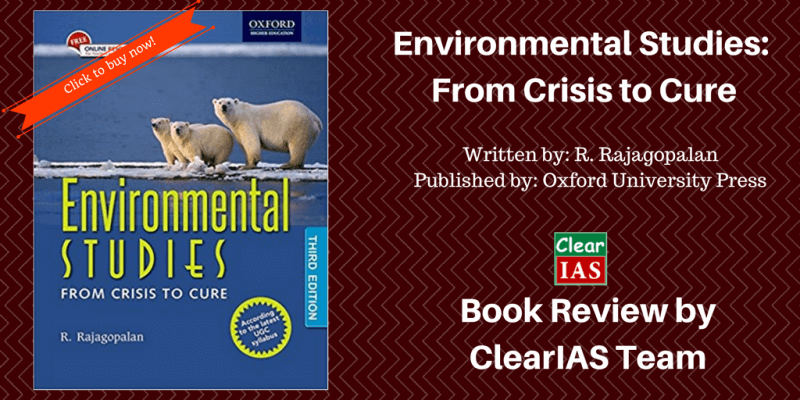 Book Description: Paryavaran Evam Paristhitiki is the Hindi version of the best-selling book 'Environmental Studies: From Crisis to Cure' written by R. Rajagopalan and published by Oxford University Press. 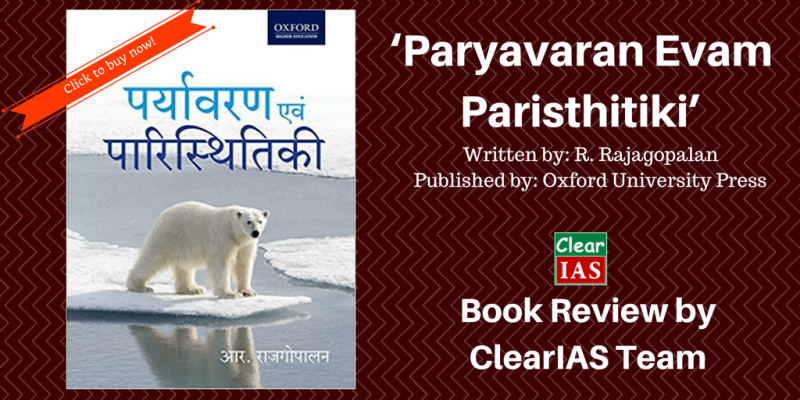 Paryavaran Evam Paristhitiki is the Hindi version of the best-selling book ‘Environmental Studies: From Crisis to Cure’ written by R. Rajagopalan and published by Oxford University Press. This book is a boon for the Hindi medium aspirants to cover Ecology and Environment section, where quality materials are less.